It was my birthday 18 days ago (Happy Birthday Deborah! Oh, thanks. ), but one of the things I really really wanted for my birthday didn’t come until just last weekend. Why? Because it had to be shipped all the way from India! 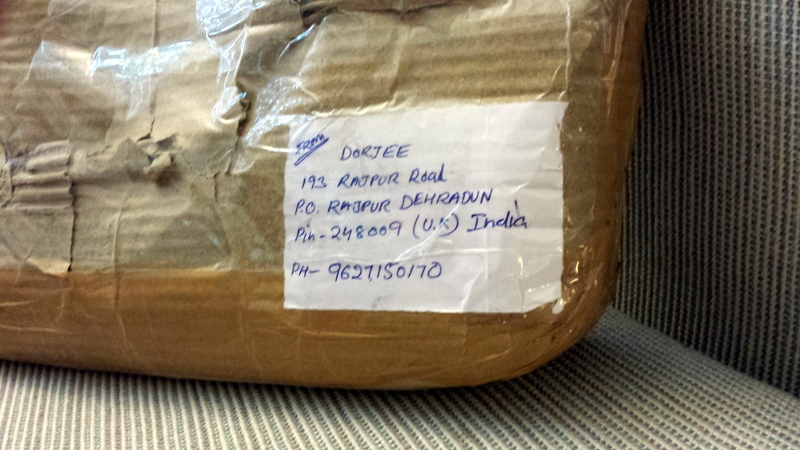 It’s a package from India!!!! I’m so excited!!!! 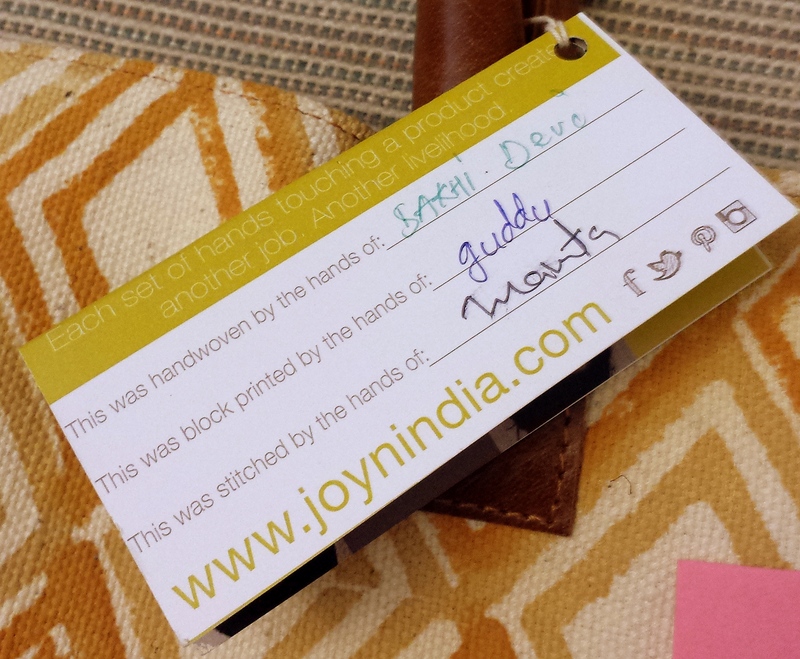 That’s right: I got a JOYN handbag! I have wanted one of these for years, ever since I learned about the company. 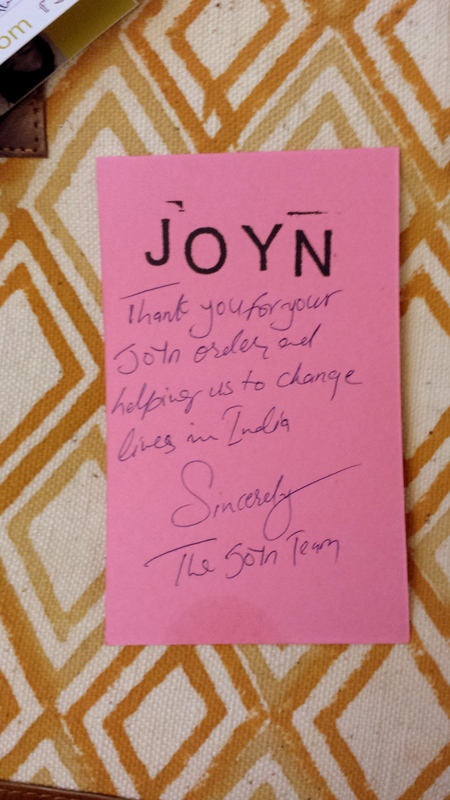 You see, Joyn is a very special company that has not only supplied me with a 100% handmade, totally gorgeous purse, but it is also changing the lives of men, women, and children in the Rajpur, India region. Ahhh! 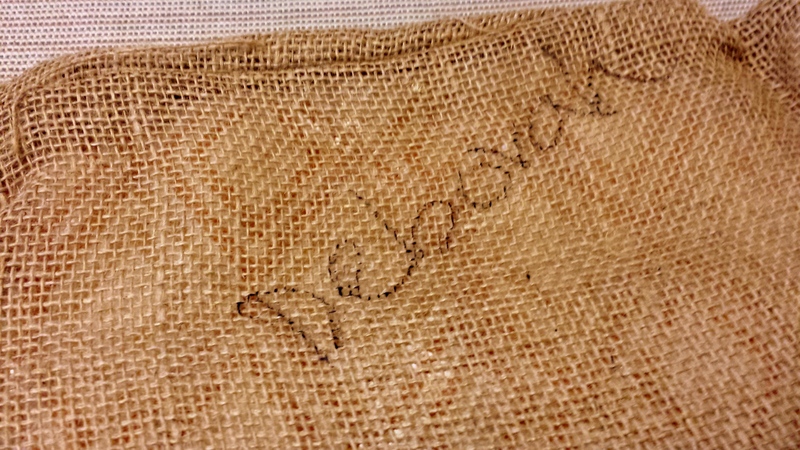 Someone from JOYN wrote my name! I feel like I need to keep this forever! JOYN is an absolutely beautiful company that is training local artisans in the ancient techniques of weaving, block printing, and stitching to give them not only long-lasting skills and employment, but also hope! Every one of their products is made in the most inefficient way possible: 100% by hand, to give more people the opportunity for work. They also partner with JoyCorps to provide healthy food, safe water, low-interest loans, education and skills to improve the whole community, and lift them out of poverty. The company was started by Mel and Dave Murray as their answer to the extreme poverty they’ve seen around the world. They realized that you can’t just bring hand-outs, you have to bring opportunity to really make a difference. The Christian couple started JOYN and the Dehradun Guitar Company to provide those opportunities. 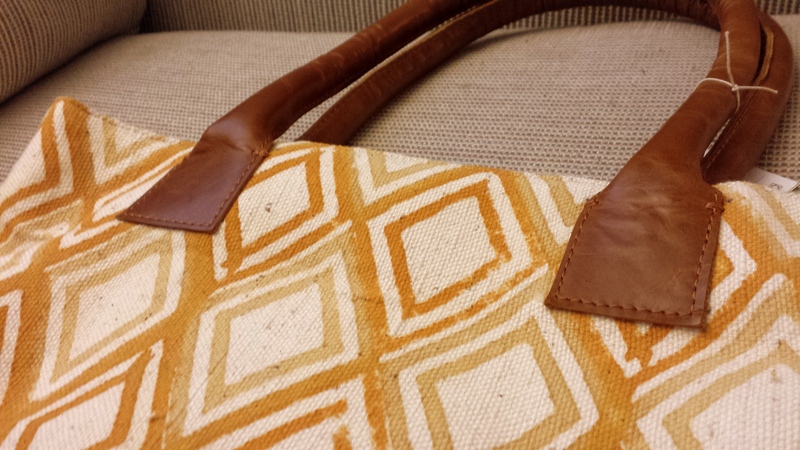 Thank you for your beautiful work on my handbag! You guys I am so in love with this company and their beautiful products! 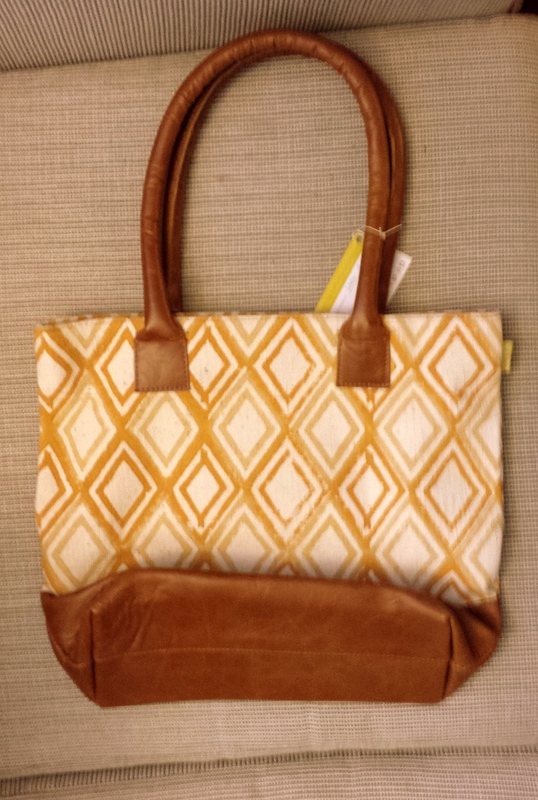 And now that I finally have one of their gorgeous bags I’ve been drooling over, I hope I can tell even more people about JOYN! I have never in my life had a purse like this, and they make so many different styles! It is impeccably well-made: 100% leather and cotton, fully lined, magnetic clasp enclosure, and there is a small inside pocket the perfect size for my cell phone (and I have a big Galaxy S5). Even in this terrible picture, it’s gorgeous enough to steal. Isn’t that the most beautiful thing you’ve ever seen? I know. It’s mine. The only down side is that it takes a while to get here, since I bought mine directly from JOYN. But, you can also buy some products from Dayspring or other vendors. They are totally unique, and of excellent quality. This bag means so much to me and I hope that you might consider supporting this great company, too!